Intel Corp. this week demonstrated its new cooling system designed for the forthcoming high-end desktop (HEDT) processors code-named “Haswell-E”. The new cooler, which will be supplied with the Core i7-5800/5900-series microprocessors, will be bigger than the current one and will thus be able to dissipate more heat without creating too much noise. It will also be shipped with current-gen LGA2011 offerings. 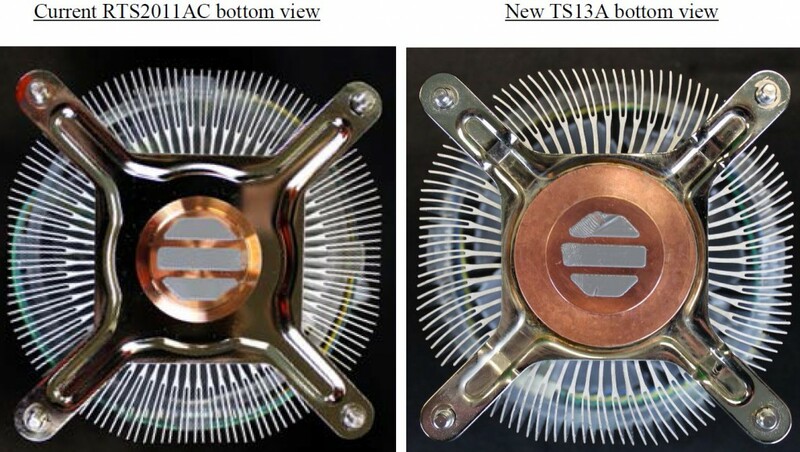 This week Intel notified its customers that it will replace the RTS2011AC cooler with the new TS13A cooling system starting the 29th of August, 2014. The RTS2011AC and the TS13A are the so-called “in-box” coolers for microprocessors in LGA2011 packaging. 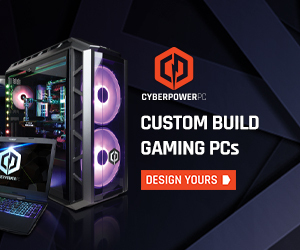 In September the world’s largest chipmaker is expected to release its next-gen Core i7-5800/5900-series high-end desktop processors code-named “Haswell-E”. The new cooling system will be able to dissipate up to 140W of heat and will be compatible with the new chips. 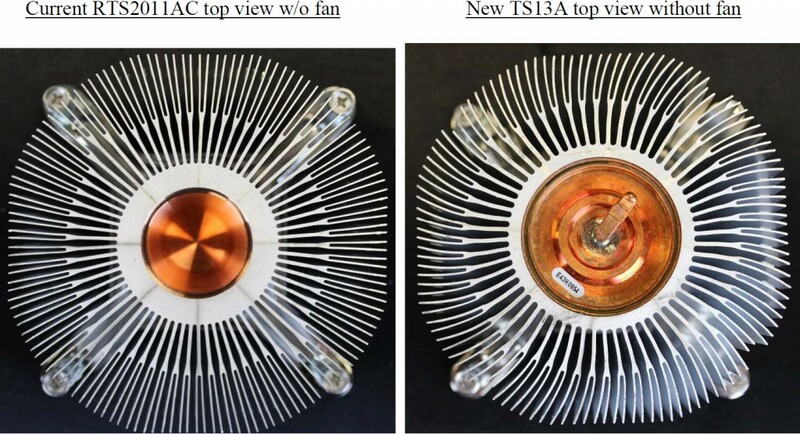 The TS13A cooling solution has taller heat-sink compared to the predecessor (75mm vs. 63mm), the copper core (of the RTS2011AC) has been replaced with a copper heat column (with a heat-pipe inside) with larger base. The fins of the heatsink of the new cooler are not only bifurcated, but are also curved to further increase the heat dissipation area. These changes will increase the cooler performance in order to meet the new processors’ TDP requirements. While the new Intel TS13A cooler is more powerful than its predecessor, it is unlikely that it will actually be widely used by enthusiasts who use high-end desktop microprocessors. Typically people, who build Intel Core i7 Extreme-based systems use either high-end air coolers or closed-loop liquid-cooling systems. The new Intel Core i7 HEDT family of processors due in mid-September will include three models: the Core i7-5960X, the Core i7-5930K and the Core i7-5820K. Intel’s Core i7-5960X processor will be the company’s first desktop chip with eight cores with the Hyper-Threading technology. 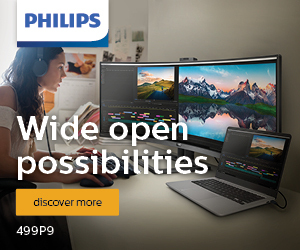 The new top-of-the-range Extreme-series microprocessor also features 20MB L3 cache, quad-channel DDR4 memory controller (2133MHz maximum clock-rate) and 40 PCI Express 3.0 lanes in total. Since the chip sports eight cores with the HT tech, it will have 3.0GHz default clock-rate. The upcoming central processing units will be made using 22nm process technology and will be based on the Haswell micro-architecture. KitGuru Says: Modern air coolers from manufacturers like Scythe or NZXT are so advanced that they can dissipate considerably more heat than 140W. For some reason, Intel continues to use very conservative design with its cooling solutions aimed at microprocessors that carry rather hefty price tags.